The five cars found to be in breach of Road Traffic Acts were seized in and around the shopping centres. EIGHTEEN PEOPLE WERE arrested and five cars were seized as part of a day-long garda crime crackdown around Dublin shopping centres yesterday. Gardaí targeted the Pavilion Shopping Centre in Swords and the Omni Centre in Santry, working with storeowners and security staff. Five cars were seized for road traffic offences, other crimes detected included theft, fraud and an outstanding bench warrant. The 18 people arrested in the lead up to the crackdown had outstanding warrants. The five cars that were seized in and around the shopping centres were found to be in breach of Road Traffic Acts. Officers say a number of other crimes that came to light as a result of the operation will be followed up with positive lines of inquiry having been developed. Gardaí from the Dublin Metropolitan North Division carried out the operation as part of Operation Thor Retail Day of Action. Garda stands were in place inside the shopping centres and crime prevention advice was provided to members of the public. 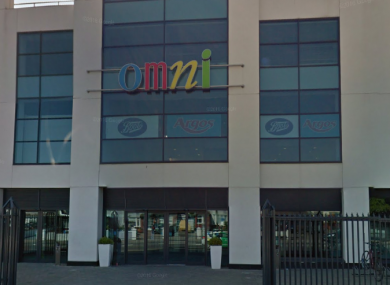 Email “18 people arrested as part of crackdown at Omni and Pavilion Shopping Centres”. Feedback on “18 people arrested as part of crackdown at Omni and Pavilion Shopping Centres”.